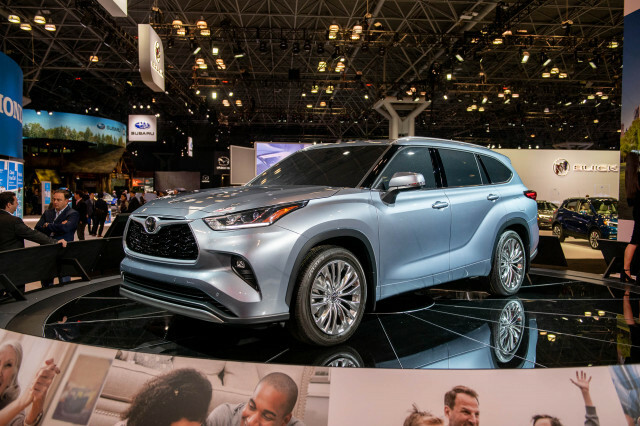 Chevrolet took its mask off and unveiled a new look for the bulk of its passenger car lineup Friday. 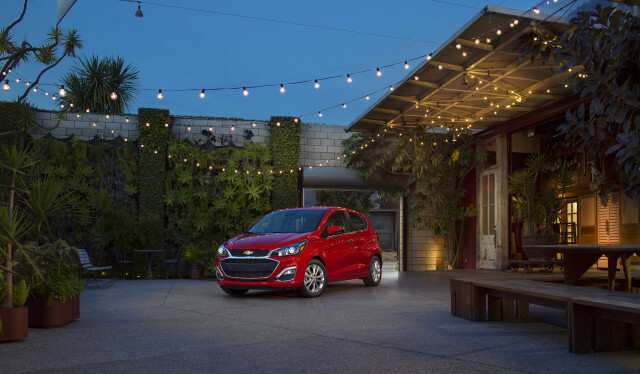 Behind their new faces, the 2019 Spark, Cruze and Malibu, boast mechanical and technical upgrades, along with their new bumpers. 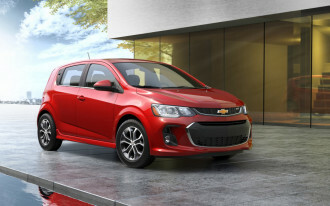 Suspiciously absent was any news about the Sonic, which may not have much of a future in the Chevy lineup. 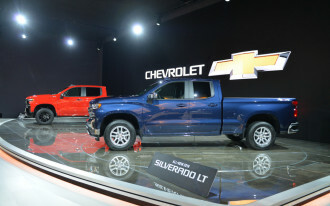 The brand's revised look doesn't mark a major departure, but Chevrolet says the more sculpted look helps tie its models together. 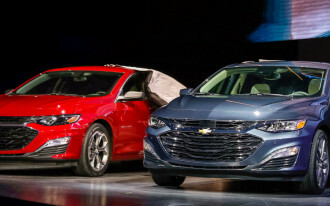 Chevy's more pedestrian Spark, Cruze, and Malibu receive smaller tweaks in the styling department, but all three gain new features. 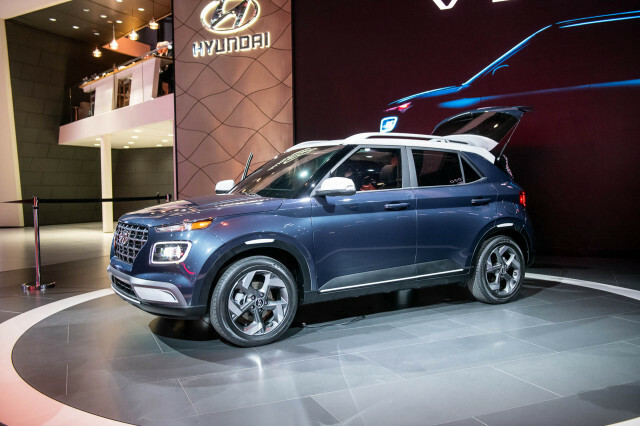 For 2019, the updated Spark adds optional automatic emergency braking to top-trim versions. 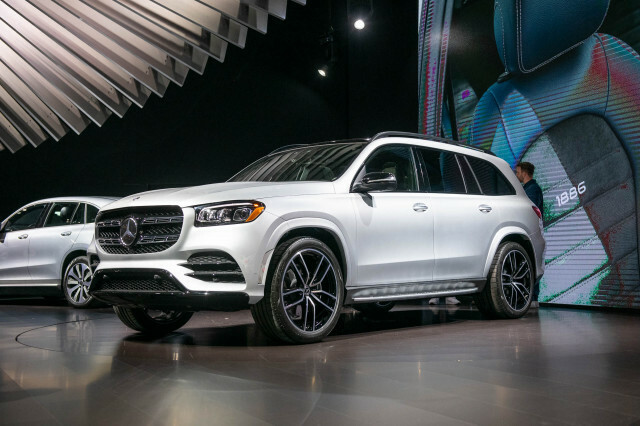 The Spark integrates the upper and lower front grilles more for 2019 without a body-colored bar, and the foglights have been reshaped. The Spark is available in LS, LT, 2LT and Activ trims, the latter raises the ride height by 0.4 inches. 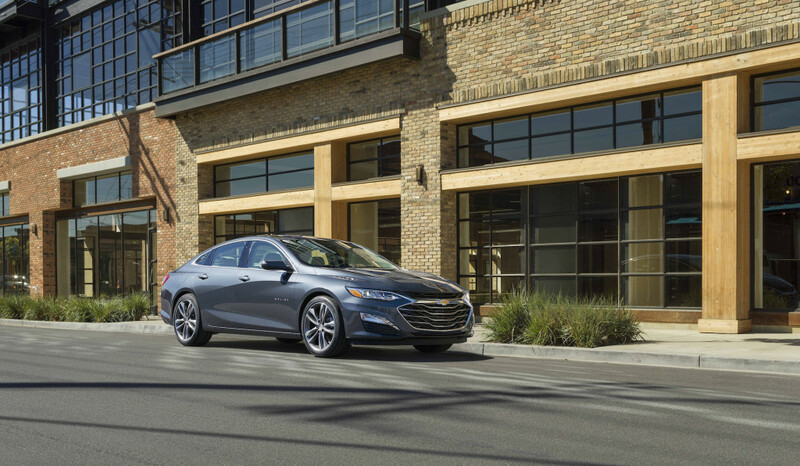 For the Cruze, Chevrolet subbed an updated infotainment system with a standard 7.0-inch touchscreen on all models and it also gains automatic emergency braking as an optional extra. 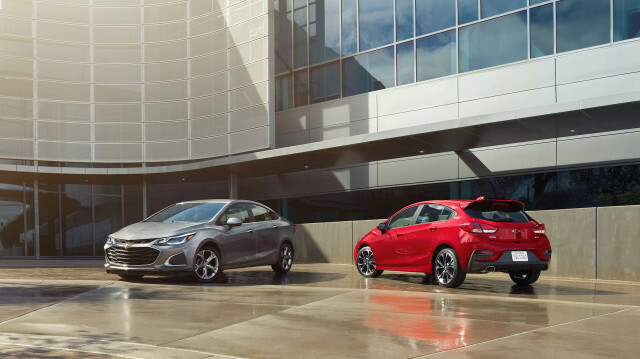 Additionally, the Cruze lineup has been broadened with the addition of the entry-level LS trim for the Cruze hatchback. 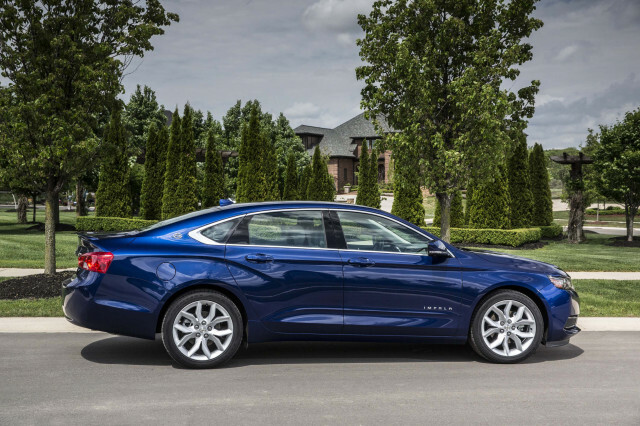 The 2019 Malibu sees last year's 6-speed automatic jettisoned in favor of a continuously variable transmission (CVT), the first in a non-hybrid Chevy passenger car. 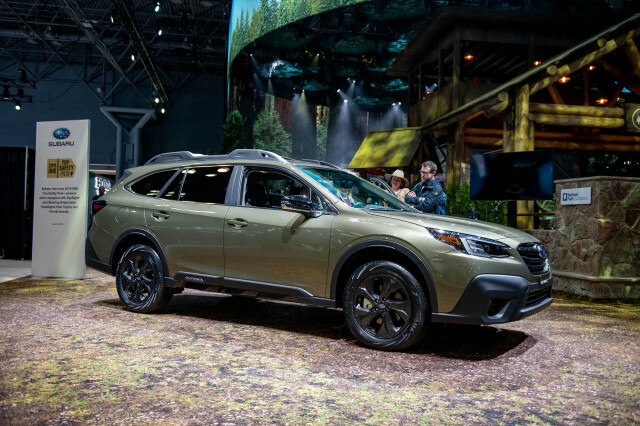 The CVT will be paired to the 1.5-liter inline-4 that's standard in all but the range-topping Malibu Premier trim level, which retains last year's 2.0-liter turbo-4 and 9-speed automatic. Like the Cruze, the mid-size Malibu gains new software for its infotainment system and a rearview camera is now standard on all trim levels. A new Malibu RS adds a sporty-appearance package with 18-inch wheels, blacked-out grille, dual exhaust outlets, and black cloth seats for about $25,000. The Malibu Premier trim level adds heated rear seats. An 8.0-inch touchscreen is now standard. Prices for the Malibu, Cruze, and Spark haven't yet been announced.